Do you know anyone who is incarcerated? Would they like to contribute to Inmate Blogger? Blogging offers a wide range of opportunity. The topics that inmates choose to write about is entirely up to them (ex: prison life, society, relationships, law, poems, short stories, personal struggles, inner thoughts, religion, or ANYTHING they want). We welcome all writers, regardless of their writing experience. We currently accept blogs via JPay.com. If your incarcerated friend has a JPay account…perfect! Simply have them send a JPay invite to: inmateblogger@gmail.com. After I receive their invite, I will email them an introduction letter. 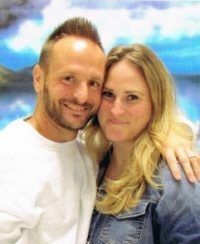 If the JPay at your loved ones facility does not allow them to send out invites, then please email me their name, inmate #, and state so that I can add them to our JPay contact list. If your loved one does not have a JPay account, they may have someone email their typed blogs to me at inmateblogger@gmail.com. Our services are free, however Donations are appreciated. Please follow InmateBlogger on FACEBOOK and TWITTER!